Joy Kogawa was named the 14th winner of British Columbia’s lifetime achievement award for authors. The George Woodcock Award was presented to her at Joy Kogawa House in Vancouver on April 25, 2008. Joy Kogawa on George Stroumboulopoulos Tonight, CBC. Kogawa’s novel Itsuka (1992) recounts Naomi Nakane’s gradual reconciliation with Canada against the backdrop of the Redress movement. More overtly political than Obasan, it takes its title from the Japanese word for someday–Itsuka. It voices the collective expectation that ‘someday’ Japanese Canadians, who had property confiscated as enemy aliens, would gain compensation from the Canadian government. In 2006, Itsuka was re-released and re-titled as Emily Kato on the 60th anniversary of the bombing that claimed Naomi’s young mother in Obasan. In Itsuka and Emily Kato, Naomi suffers when she learns of the death of the dear aunt and uncle who raised her, but her other aunt, “the feisty Emily Kato.” convinces her to move to Toronto, where she becomes involved in the Redress Movement. A third Kogawa novel, The Rain Ascends, deals with the painful and complicated subject of molestation in early childhood and the importance of mercy. Kogawa has published numerous collections of poetry since 1967, plus a children’s novel, Naomi’s Road, about the internment of a girl named Naomi and her brother Stephen, both separated from their parents during World War II. A revised and illustrated 2005 edition, based on an expanded version published in Japan, includes added historical information and new information on the fate of Naomi’s mother. A Vancouver Opera version of Naomi’s Road premiered in 2005. Her latest book is Naomi’s Tree (Toronto: Fitzhenry & Whiteside, 2008). Joy Kogawa and the plaque in front of her home. 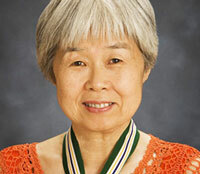 Also in 2006, Joy Kogawa was named as a recipient of the Order of British Columbia. Gently to Nagasaki (Caitlin, 2016). Naomi’s Tree (Toronto: Fitzhenry & Whiteside, 2008). The Rain Ascends. (Knopf Canada, 1995). Naomi’s Road. (Oxford University Press, 1986; Stoddart 1994; Fitzhenry & Whiteside, 2005). Woman in the Woods. (Mosaic Press, 1985). Obasan. (Lester & Orpen, Dennys, 1981; Penguin Books, 1983; Puffin Classics, 2014). Jericho Road. (McClelland & Stewart, 1977). A Choice of Dreams. (McClelland & Stewart, 1974). The Splintered Moon. (Fiddlehead, 1967). For Obasan: Books in Canada, First Novel Award. Canadian Authors Association, Book of the Year Award. Periodical Distributors of Canada, Best Paperback Fiction Award. Before Columbus Foundation’s American Book Award. American Library Association, Notable Book Award. Order of British Columbia, 2006. On Saturday, September 27, 2-3 pm, author Joy Kogawa will return to her childhood house at 1450 West 64th Avenue. She will meet with friends, teachers, fellow writers, and interested readers of her work. She will share her memories and read from her award-winning novel, Obasan. Since its publication in 1981, Obasan has become one of the most endearing novels of our time. Countless readers were first introduced to the wartime mass uprooting and internment of Japanese Canadians through the eyes of its central character, Naomi Nakane. As Naomi invokes her personal memory of this catastrophic event, she takes readers back to her childhood in the Marpole area of Vancouver – and back to 1450 West 64th Avenue in 1942. Then six years old, she recalls the moments when her tightly knit family life was violated and then torn apart by the actions of the Canadian government. This afternoon Vancouver City Council voted unanimously to grant an unprecedented 120-day delay of demolition for 1450 West 64th Avenue, the childhood home of author Joy Kogawa. children’s story, Naomi’s Road, is now touring BC schools with the Vancouver Opera in the Schools program. Joy Kogawa arrived via car and ferry from a performance of Naomi’s Road in Ucuelet, BC, just in time to read from her novel Obasan. Kogawa had only left City Hall on Tuesday, November 1st, which had been proclaimed “Obasan Cherry Tree Day”, as a graft from the cherry tree from Kogawa’s childhood home was planted at City Hall. other city councils to match their donations as well. At the end of the meeting, the committee walked out of council chambers $540 richer. An estimated $750,000 is needed to purchase the house from the owner at “fair market value.” McGeough has been mediating with the house owner and the Save Kogawa House committee, and the 120-day delay will give the committee time to fundraise this amount. Charitable donations can be made online through the Vancouver Heritage Foundation website at http://www.vancouverheritagefoundation.org/Kogawa.html. Public Library downtown. Special guest musician is Harry Aoki, who was interned at age 20. Prior to renovations that will turn the former Kogawa family residence in the Marpole neighborhood of Vancouver into a writers’ retreat, an Open House was held on September 17, 2006 to celebrate the purchase and preservation of Joy Kogawa House at 1450 West 64th by The Land Conservancy. The organization purchased the property aided by donations from 550 individuals. Best known for her novel about the internment of Japanese Canadians during World War II, Obasan, Joy Kogawa was in attendance. Information regarding the process that saved the house from demolition can be found on The Land Conservancy website at www.conservancy.bc.ca. VANCOUVER, B.C. – Joy Kogawa, award-winning Canadian author and Bill Turner, Executive Director at TLC The Land Conservancy of British Columbia will join to thank the significant donor who helped to complete the purchase of Historic Joy Kogawa House on Friday, April 25, at 3 p.m., Historic Joy Kogawa House, 1450 West 6th Avenue. The donor, who is a prominent Canadian dedicated to women’s rights and the environment, will be on hand to speak about their special contribution to this cultural landmark. Following the press conference, guest speakers (with special appearance by Iona Campagnolo, former B.C. Lieutenant Governor and TLC’s Honourary President) will participate in a cherry tree planting to celebrate second life at the Historic Joy Kogawa House. The cherry tree cutting is from the tree in the backyard at the house which was highlighted in Joy Kogawa’s children’s books: Naomi’s Road and her latest novel, Naomi’s Tree. In May 2006, TLC became the proud owner of the Historic Joy Kogawa House. 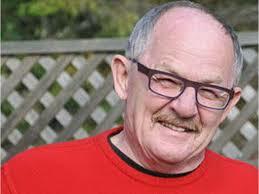 The purchase would not have been complete without the generous donation of $500,000. After a hard-fought effort by TLC and the Save Kogawa House Committee to save the house from demolition, it is being restored, and beginning in the spring of 2009, will host a writer-in-residence program. The Historic Joy Kogawa House is a place that commemorates both the brightest hopes and the darkest hours of Canadian history. The house, representative of many properties owned by Canadians of Japanese descent, was confiscated during the Second World War when its occupants and 20,000 other Japanese-Canadians were interned. Vancouver composer Leslie Uyeda presents two song cycles written to accompany five of Joy Kogawa’s most exquisite poems. “Stations of Angels” will be performed by soprano Heather Pawsey and flutist Kathryn Cernauskas and “Offerings,” by Heather Pawsey and pianist Rachel Kiyo Iwaasa. These performances are the world premiere of both song cycles, which were composed especially for these three artists. To complement the musical performance, poets Joy Kogawa, Heidi Greco, Marion Quednau, and Vancouver’s poet laureate George McWhirter will read. 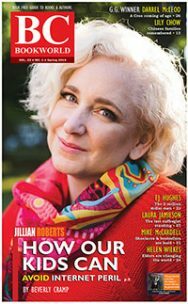 The evening will close with a stellar presentation: the Vancouver Public Library will award Joy the George Woodcock Lifetime Achievement Award for an outstanding literary career related to British Columbia. This National Poetry Month event takes place in Joy Kogawa’s childhood home-a place that is representative of the many properties owned by Canadians of Japanese descent that were confiscated during the Second World War when their occupants were interned. After a hard-fought effort to save the house from demolition, the tiny bungalow is being restored and will host a writer-in-residence program. Proceeds from this musical event will fund the honorarium for the first writer to live and work at the house, beginning in March 2009. (Vancouver, B.C.) 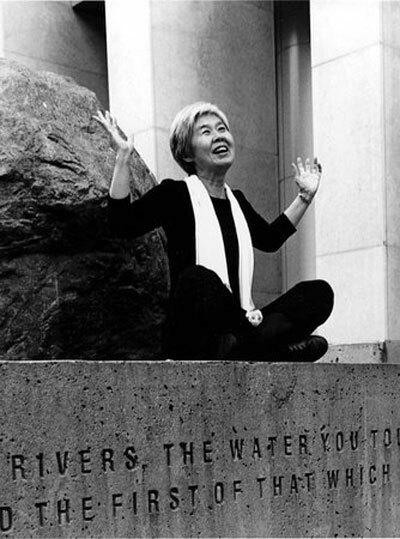 – Joy Kogawa is the next name to be inscribed onto a commemorative plaque in the Writers’ Walk at Vancouver’s Library Square honouring recipients of the George Woodcock Lifetime Achievement Award. Kogawa is the 14th established writer to be honoured for an outstanding literary career related to British Columbia. She will receive the award on April 25 at the newly preserved Historic Joy Kogawa House owned by The Land Conservancy of British Columbia during a national poetry event of original music and poetry. In addition to being commemorated in the Writer’s Walk, Vancouver Mayor Sam Sullivan will issue a proclamation honouring Kogawa, who also receives a $3,000 award. Kogawa, who lives primarily in Toronto but has maintained a residence in Vancouver, is much honoured both for her writing and civic involvement, particularly in the Japanese-Canadian Redress Movement. She is a recipient of the Order of British Columbia, a member of the Order of Canada and holds an honorary doctorate from Simon Fraser University. 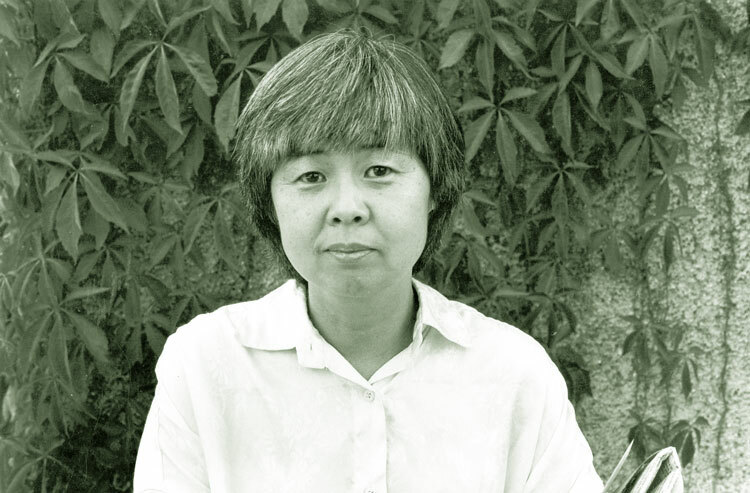 For her seminal novel Obasan, Kogawa won the Books in Canada First Novel Award, Canadian Authors Association Book of the Year Award and the American Library Association Notable Book Award. Vancouver Public Library chose Obasan as its 2005 One Book, One Vancouver title. Next to Alice Munro, the highest-ranked BC author in Quill & Quire’s 1999 survey of English Canadian literature was Kogawa who was ranked 13th for Obasan. “Joy Kogawa is truly a national literary treasure,” said Alan Twigg, publisher of BC BookWorld and member of the Woodcock Award committee. “Obasan is an extremely influential book because it captures and poignantly reflects a painful and damaging event in Canadian history while being truly poetic in its sensibility. And while it is the book that firmly placed Joy Kogawa on Canada’s literary landscape, it represents only one aspect of her work. 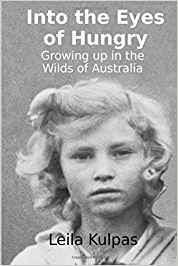 Her full body of work, including two other novels, five books of poetry and two children’s books, confirms why she is so deserving of the George Woodcock Lifetime Achievement Award,” he added. The City of Vancouver proclaimed November 6, 2004 as Joy Kogawa Day and planted a cherry tree, propagated from one growing in the backyard of the former Kogawa home, on the grounds of City Hall. The effort to purchase and preserve the Kogawa family’s former residence at 1450 West 64th Avenue began in 2004 by the Save the Kogawa Homestead Committee and was achieved in April 2006 when the Land Conservancy of British Columbia announced it would purchase the house to prevent demolition and ensure an important piece of Canada’s heritage was not lost. Kogawa’s family was among 22,000 Japanese Canadians who were forcibly relocated from the West Coast during World War ll when she was six years old. The family was herded into converted barns on Vancouver’s Pacific National Exhibition grounds then sent by train to internment camps in the Slocan area of southeast British Columbia, then to Coaldale, Alberta and later to Saskatchewan and Ontario. Kogawa immersed herself in a major campaign launched by the Japanese-Canadian Redress Movement in the early 1980s. On Sept. 22, 1988, Prime Minister Brian Mulroney signed the Redress Agreement and issued a long-awaited formal apology. Obasan is a fictionalized account of her family’s forced relocation from British Columbia, a theme that recurs in her work including Itsuka that was retitled Emily Kato and a children’s book Naomi’s Tree. In 1994, in the aftermath of civic events held to recognize the literary career of celebrated Vancouver writer George Woodcock, BC BookWorld, the City of Vancouver, Vancouver Public Library and the non-profit Pacific BookWorld News Society jointly sponsored and presented an annual prize to a senior BC author whose enduring contribution to the literary arts spans several decades. The initial corporate sponsor was BC Gas, later renamed Terasen. In 2007, the Terasen Lifetime Achievement Award was renamed the George Woodcock Lifetime Achievement Award. VANCOUVER, BC – Senator Nancy Ruth has moved into the limelight as the anonymous donor who helped saved the childhood home of friend and Canadian author, Joy Kogawa. Given her strong advocacy work for women’s rights in Canada and abroad, it was a natural fit for her to support a place that represents hope, healing, and reconciliation. “This house reminds me of Joy Kogawa’s creativity, her passion, her reconciliation with foes, and her hope for the world. I wanted to help save Joy’s family home to preserve Joy’s spirit and the spirituality that I experience in association with her and the communities she nurtures,” says Hon. Nancy Ruth. 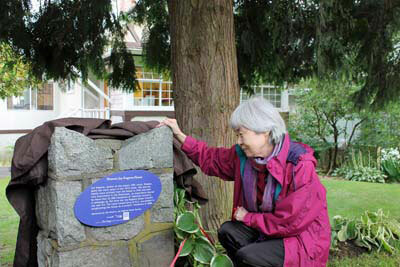 In May 2006, TLC The Land Conservancy of British Columbia became the proud owner of the Historic Joy Kogawa House in the Marpole community of Vancouver. The purchase was made possible because of a $500,000 donation from Hon. Nancy Ruth. After a hard-fought effort by TLC and the Save Kogawa House Committee to save the house from demolition, it is being restored, and plans are in the works to host a writer-in-residence program in Spring 2009. “Hon. Nancy Ruth’s gift to the Historic Joy Kogawa House made our vision for the house come true. The purchase could have not happened without her generosity. Future children will now have a place to visit to learn about the Japanese Canadian internment, and Joy Kogawa’s literary works. The house has a second life, and we are happy to be part of it,” says TLC Executive Director, Bill Turner. A native of Toronto, Hon. 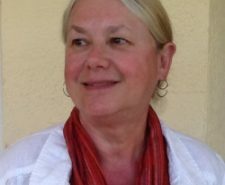 Nancy Ruth has won a series of prestigious awards such as the South African Women for Women Friendship Award in 2004; the Government of Ontario’s Award for Outstanding Achievement in Human Rights in 1998; and Membership in the Order of Canada in 1994. Recently she received the 2007 Charles Sauriol Greenspace Award from the Conservation Fund of Greater Toronto. Throughout her working life, she has played an active role in various religious, professional, political, educational and non-profit organizations in Canada, Britain and the United States. She has also been instrumental in co-founding organizations that work for women’s social change like LEAF (The Women’s Legal Education and Action Fund), the Canadian Women’s Foundation, www.section15.ca, Toronto’s The Linden School, The Women’s Future Fund and the Charter of Rights Coalition. “I believe Senator Nancy Ruth’s action was more than one of generosity or friendship. It was an act of faith – a faith that all who laboured to save this house have shared. The world can be a kinder place. What winds blew us all together – The Land Conservancy, Nancy Ruth, Save Kogawa House Committee, school children and people great and small – I do not know. But it is more astonishing to me than words can say. I dream that the ways of reconciliation can radiate forth from this little house that survives,” says award-winning Canadian author, Joy Kogawa. As a celebration to one woman’s commitment to woman and culture, TLC is hosting a private recognition ceremony for Senator Nancy Ruth this evening. Guest speakers will include: Bill Turner, TLC Executive Director, Ujjal Dosanjh, MP for Vancouver South, Joy Kogawa, award-winning Canadian author and Hon. Iona Campagnolo, former Lieutenant Governor of B.C. and TLC Honorary President. Following the ceremony, the general public are welcome to attend a national poetry month event entitled: The Language of Music, The Music of Words – A Musical Evening with Joy Kogawa and Friends at the Historic Joy Kogawa House, 1450 West 64th Avenue from 8 to 9:30 p.m. To secure a seat, please email: kogawahouse@yahoo.ca. Admission by donation. TLC is a registered charity and land trust protecting wilderness areas, cultural landmarks, and agricultural lands in B.C. Since 1997, TLC has protected over 120,000 acres of sensitive and threatened lands around B.C., involving more than 300 projects. TLC has grown to include over 7,000 members, and is now part of an international network of National Trusts with over 7 million members. At a UVic memorial event, Lorna Crozier accepted the Woodcock Award for the late Patrick Lane.